Immune boosting and anti-aging, Environ Colostrum Gel strengthens, soothes and calms the skin. Skin looks smooth and even. 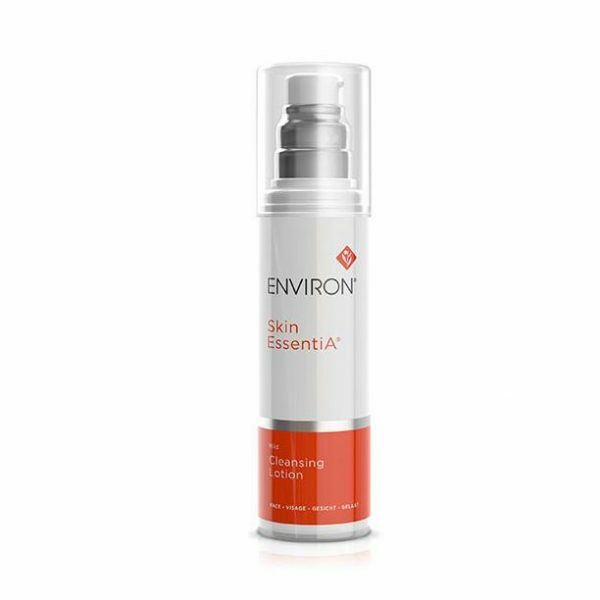 Award-winning Environ Colostrum Gel is one of the most popular anti-aging products of the Environ Intensives Range. It contains bovine colostrum, vitamins and antioxidants, including vitamin C, vitamin E and green tea. Colostrum helps to enhance the skin’s immunity by strengthening and calming. It’s a wonderful aging prevention. Even more, it improves the appearance of problematic skin by reducing inflammation, redness and irritation. And most importantly, it assists in preventing breakouts on skin that is prone to acne. Because it’s deep penetrating and moisturizing, it reduces fine lines and wrinkles. Collagen and elastin production are increased. Therefore skin looks smoother, more youthful and healthy. 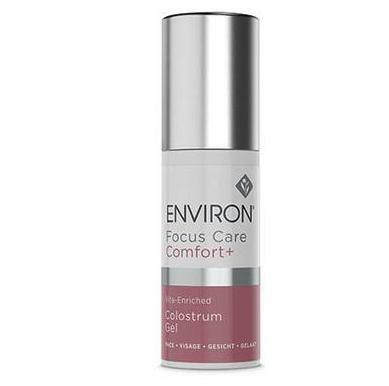 Environ Colostrum Gel is suitable for all skin types, including sensitive, mature and problematic skin. And because it has a pleasant light lavender fragrance, it’s calming! Reduces the appearance of fine lines and wrinkles. And it tightens and smooths the skin. Even more, valuable moisture nourishes the skin for a youthful appearance. In addition, Colostrum’s effects are noticeable in a short period of time. And you can use the gel with any of the Environ ranges. 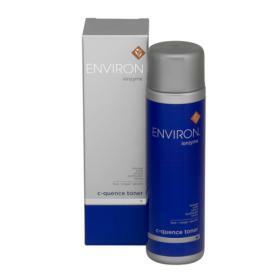 Use sparingly twice a day after pre-cleansing, cleansing and toning with your preferred Environ products. Follow with your moisturizer. Please see ingredients tab for important information about Environ Colostrum Gel and counterfeit products. Aqua (Water), Colostrum, Propylene Glycol, Alcohol Denat., Glycerin, PEG-40 Hydrogenated Castor Oil, Ethoxydiglycol, Cimicifuga Racemosa Root Extract, Magnesium Ascorbyl Phosphate, Epigallocatechin Gallate, Rosmarinus Officinalis (Rosemary) Leaf Extract, Lavandula Angustifolia (Lavender) Oil, Xanthan Gum, Tocopheryl Acetate, Salicylic Acid, Helianthus Annuus (Sunflower) Seed Oil, Hydroxypropyl Guar, Dehydroacetic Acid, Benzyl Alcohol, Phenoxyethanol, Benzoic Acid, Sodium Hydroxide, Benzethonium Chloride, Limonene , Linalool, Maltodextrins.